Bacterial identification through the 16s rna gene sequencing. One of the most exact ways of determining the taxonomical group of bacteria is throughout sequencing the 16S RNA. It is necessary to amplify by PCR, using primers homologous to conserved regions, a fragment that includes a variable region which allows the assignment of the specimen to the closest taxonomical group comparing the sequence obtained with databases available. Fungal identification through sequencing the its1, its2 regions and arn 5.8s gene. One of the most used techniques for taxonomic identification of fungi is the sequencing of the ITS regions. It is necessary to amplify by PCR, using primers homologous to conserved regions, a fragment that includes a variable region which allows the assignment of the specimen to the closest taxonomical group comparing the sequence obtained with databases available. The amplified region containing the ITS1 and 2 regions and gene ARN5.8S. Clonal identification of fungi and bacteria through dna. Due to the power of the identification of bacteria by sequencing technique, this is used for clonal identification. 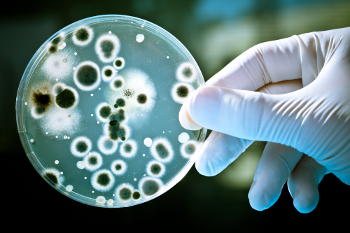 Thus, the FDA agency from the United States, recommends genotypic identification of microorganisms, in addition to microbiological techniques, in the Good Manufacturing Practice guide (September 2004 cGMP). In the same way the Spanish Pharmacopoeia gathers a similar norm where it is suggested that it may be necessary DNA sequencing techniques to identify the clonal origin of a microorganism, due to a higher sensitivity than microbiological or biochemical techniques. These services are provided from DNA purified sample deposited on FTA paper or from colony grown on agar plate. If you need a specific service that is not shown in the web, do not hesitate to contact us in order to stimate the possibility to offer it.